Jaaxy Keyword Research Tool Review 2018. Last updated on November 30, 2018 By Nat 40 Comments This post may contain affiliate links. We appreciate you supporting Rags To Niches! Full disclosure here. I use this particular tool multiple times per day and it’s become an essential tool that I use to grow my business. In fact, it’s responsible for helping me to rank for hundreds of keywords on the first page of Google. But what is Jaaxy and why is it so great? In my Jaaxy review and tutorial today, I will go over all the reasons why you should check it out… (erm, plus you can >> try it for free here anyway!). Price: Free start up, 30 free searches, Pro ($49 monthly), Enterprise, ($99 per month). Verdict: My no.1 tool and I’ve exclusively used it for the last several years. Review In Brief: Jaaxy is a powerful, effective keyword research tool that is newbie friendly, simple and enjoyable to use. It’s my essential tool and I wouldn’t be without it! >> Click Here For Your 30 free searches! Jaaxy is a keyword tool that will easily help you seek out low-competition keywords that will help you rank high up in the search engines. As well as finding keywords, Jaaxy also has many other cool features, such as a “site rank” tool, so that you can track what position you’re currently in for your chosen keywords. You can also save lists of keywords, search for affiliate programs and keep an eye out on the top ranking competitors for a specific keyword – to name just a few things. If you’re going to start an online business or simply start a blog that you’d eventually like to make money from, keyword research is going to be a vital component to generating organic traffic for you and having the right tool at your disposal is very important. Because targeting low-competition keywords will give you a great chance of ranking high in the search engine, (as long as you’re providing quality content). 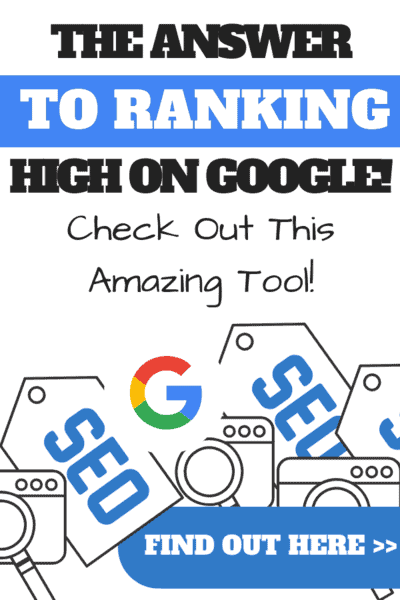 If you’re ranked high in the search engine – this will equate to more traffic to your site. If your site or blog has no traffic, no one is discovering you or your content. As such, you’ll want to target a specific keyword per post that you do on your website. Many people choose to use google adwords free keyword tool and to start off, there’s nothing wrong with it. However, google adwords keyword planner, can be confusing and time consuming to use – I personally got bored & frustrated with it very quickly. There are plenty more sophisticated search tools that give you considerable more information and as such, they will help you develop and grow your site and rank more effectively. As Keyword research tools go, Jaaxy comes out top for me – often when you sign up or download a keyword search tool, it can often be complicated, but Jaaxy is simple to use from the start. Jaaxy is ultra user friendly and simple to use an some of its unique features make it extra enjoyable to use… I will go over this in more detail further on in this review. What Is Jaaxy? Jaaxy Keyword Tool Overview! I’d like to run through some of my favourite features and explain why I find them useful. The feature that I use most, is also the most obvious. That is the straight forward Keyword tool. You can see our main search result outlined in green in the search above. What this result actually means, while it may look confusing initially, is incredibly straight forward. See the green arrows above correspond to the answers below, left to right. Avg – 4359. –> The first number simply represents the total number of searches for this exact keyword in google every month. Traffic -742 –> This is the estimated number of visits your site could receive each month if your page makes page.1 on google for this keyword. QSR -122 —> This is the number of competing pages that also contain this exact keyword in google. KQI – Green —> Keyword quality indicator, if this is green, it’s good, yellow medium and red means you should steer clear. SEO score – 90 —> This score is based on traffic and competition combined and is an indicator to how easy, (or difficult) it will be to rank for the keyword in question. The closer the score is to 100 the better! In general, you should go for a keyword with a traffic score rating of 50 or over and stick to a QSR, (competition) of under 300 when you first start a website, as this will give you a better chance of ranking. I personally will look for a QSR as low as possible and as close to zero as I can. BUT – Don’t Just Rely On The QSR score! Make sure you check out your competition further, by checking out the competing pages in the search for your keyword – (simply type in your keyword into google and see what pages show up). By looking through the pages ranking in the top positions, ask yourself if you have a chance of out ranking them at the moment. How many comments do the posts have that come up, are the websites authority sites, have their posts been shared a lot on social media? Another good way to check the website domain authority and page authority websites in the search results, is by downloading MOZ BAR, this is a free browser extension and easy to use. In addition, sticking to a GREEN KQI (Keyword Quality Indicator) and an SEO score of 90+ is my personal preference – but everyone is has their own ideas and opinions on this. If your unfamiliar with keyword research and any of this sounds confusing – there is a bunch of training explaining how to use the tool over at Jaaxy. The closer the SEO score is to 100, the better. Even in this case, there are no guarantees you will rank for the keyword you’ve targeted, as many factors will come into play, but it certainly gives you a considerably better chance. As we can take from the data above for this keyword, this would be a potentially reasonable one to target. Take a look at the results the arrows are pointing to above, from left to right. Avg score is 120, (the amount of exact searches a month for this keyword. Traffic score is 21, (the amount of traffic you could potentially expect to get for this keyword per month if you’re on the front page. The KQI is green (green means good to go – orange or red indicate you will have a harder chance ranking, red being the most difficult). >> Click here for your free Jaaxy Trial! Finding keywords is suddenly so easy and quick, you may start finding it quite addictive searching for them. The problem is, you end up with loads of keywords and if you write them down somewhere, chances are you’ll forget about them. That’s where the saved lists come in handy. You can save lists of related keywords in lists of 50 at a time and then have multiple lists to choose from when it comes to creating your content. You then have tonnes of pre-researched keywords ready to go. The next feature is one of my ultimate favourites and that is “Site Rank”! Site rank is a fantastic feature in Jaaxy, where you can search for keywords that you’re attempting to rank for and it will find where you are currently ranking in the google search, you can find out your present position. For example: You simply do a search for a keyword you have recently targeted and it will let you know your present place in the google search for that keyword, (if it’s ranked!). So – position 14, page 2, for example! This feature will also let you know how much your position has changed since last time you checked. (E.g. 8 places up or 5 places down). So, you can see your progress, which is a great way to keep track of how well you’re doing. It’s also made me jump for joy…(“google page 1, in the first position wooohooo!!!”….). You get the picture. It’s good to keep track of what pages are doing well and what are not and you can then start to learn what is working and what you need to improve on. When a post I’ve done doesn’t seem to be moving up in the results after some time, I will go back in and make some changes and see how I can improve upon it. The more experience you have, the more you learn how very small tweaks can sometimes make all the difference! You simply add your potential keyword in the search bar at the search analysis section and you can analyse the top 10 searches in Google, Bing and Yahoo for that exact keyword. This is an ideal way for you to check out the competition for your keyword before you take the plunge. This can also be done manually in Google, (as I mentioned earlier) which is called checking the SERPS! By typing your keyword directly into Google, you can then properly assess the competition on the first pages of Google, (or the SERPS). Checking out your competition is a very important additional step because, just because Jaaxy tells you that a keyword has a low QSR, (low number of competing pages) – there could be a good reason behind this, (e.g. massive authority sites dominating the first page and no possibility of outranking). If the competition is just too tough, this could put off many people bothering to target it – hence, the competing pages, (QSR) could be low for that reason. Therefore, it’s worth always making sure – you check the SERPS first, before committing to a keyword! So, those are my favourite and most used features and are all you need in terms of keyword research, organising your topics for content and keeping track your position in the Google search! Plus, an area where you can do a search for affiliate programs related to your keyword or niche topic. Would You Like To Have A Go Now? Jaaxy also offers 30 free keyword searches, so you can check it out for yourself. Once you’ve checked out Jaaxy and used up your free searches, you can decide for yourself whether you’d like to sign up to the PRO or Enterprise version. One of the main differences is that Jaaxy PRO gives you 15 relevant results relating to your keyword, whereas enterprise gives you 50 – plus a few additional extras. It’s also several times faster to use. >> Click Here To Check Out Jaaxy. A version of the Jaaxy keyword tool is now included free within Wealthy Affiliate, which is a large online internet marketing community and training program for people wanting to build an online income. They have a free 10-part starter course, which is worth checking out – you can read my in depth wealthy affiliate review here. If You have any questions at all, regarding keyword research or otherwise – leave me a comment below and I will get back to you! I hope you found this post beneficial. Three common keyword research mistakes. How to make your first affiliate sale online! Hi, this is a good review of Jaaxy. But there is a statement I do not understand. You say 85+ for QSR is your preference. Why should this be so. Ideally you would like it to be as low as possible, i.e., zero. Did I misunderstand something? About site rank. I do not understand the meaning. There is no such thing as site rank. Is it about rank of posts and pages? Thank you. I love the cleaver name of your site; very catchy. There is so much information on your site. I want to be successful at making money online and your site shows people how. I like how you tell a story about your start and let people know it takes a lot of work and won’t be instantaneous. I wish for you nothing but the best. You’re welcome, I’m pleased you enjoyed it! First off this page is dead on. I am an internet affiliate marketer and Jaaxy is part of my everyday tool set. The carpenter has his hammer. the plumber his wrench. If your game is online marketing jaaxy is whats in your tool bag. I’m glad to see such detailed information o this program available. I’m glad I read your post. I have been choosing my keywords all wrong. I like that with Jaxxy you can find the right keywords and see how many views those words get in the search engines all in one place. So far I have just been guessing. I’m going to give Jaxxy a try. Thanks for introducing it to me. I can completely recommend it, it’s really all you need. You’re very welcome, I hope it works well for you! Thank you for a great review of Jaaxy. I have not used Google Keyword Planner which you mentioned in your post and I read your article on it and found it very informative. As far as Jaaxy, I have used it but only for the first 30 free searches. I have not upgraded to the premium version yet. I have heard from Jay with Wealthy Affiliate that you should only get Jaaxy when you start making good money with your website and wish to take it to the next level. What are your thoughts on that? Thank you for your comments – my personal take on it is that I have used it for the last couple of months and I wouldn’t be without it. For me, as well as all the features I mentioned in the article – it’s just ease of use for me and $19 is more than worth the money for me, because I literally use it every day. A free keyword tool doesn’t come close for me, so I’d rather pay the money and have all the features available to me. Plus, when I went in for it I figured I’d pay for the first month and see how it went, but I’ve been really impressed with Jaaxy and have very much enjoyed using it. I’ve used it most with my other sites so far and it’s been good at finding low competition keywords that have ranked, so I’d say it’s a very good deal. All the best! This is a good review of Jaaxy. I know for me this program has been a real life saver. I even just like typing random stuff into it for fun. But you are so right that this program is crucial to getting those low hanging fruit keywords that are going to help you rank. I have gotten several of my posts on page 1 because of this tool. I am relatively new to the world of blogging / affiliate marketing. I know that choosing the right keywords for your content is important but I have no idea how to find them. Thanks for your thorough information on keyword research and introducing a great tool here. I have not used Google Keyword Planner before but Jaaxy seems to be more superior than it! Jaaxy seems to have a lot of great features that definitely help! The interface looks simple and easy to navigate. It is just perfect for me! As I mentioned above, I am quite new to blogging. Do you think I should really go ahead to buy the full license? I am for sure going for the first 30 free searches for now. Can you advise if it is worth for a new site to invest a keyword tool like Jaaxy now? Or should I wait? Hi Alex, I’m pleased you found my review helpful. I only very briefly used the google keyword planner because I found it too limiting. I then used the free keyword search tool within wealthy affiliate – which is worth checking out if aren’t a member. However, after trying the 30 search trial with jaaxy I just found it so easy to use, I found that for $19 a month, it really wasn’t expensive because I use it so much. If you find you will be looking for keywords several times a week for your blog, I’d say you will make use of it. It all depends on whether you feel you can afford it and whether you’ll make use of it regularly. After your 30 searches, you could always try it for a month and see how much you make use of it — the good news is that you can cancel at any time. Cheers! Great review of Jaaxy which is my favourite keyword tool. But from my experience I can say that using Jaaxy alone is not enough. Before writing your content, you need to double check your selected keyword through Google manually. Because sometimes your keyword may be too competitive even Jaaxy shows that it’s ok. Remember that if you even compete with 20 pages those pages can be highly authoritative which means you can hardly outrank them. Very true and good point Rufat – I think I will update my review to include that point. Its certainly something I do myself more now. Thanks for your input! I often find that the keywords I choose are slightly less powerful than what my free keyword tool was telling me – is this down to the free tool itself? I know that if you take the time to evaluate your keyword competition, you can usually find keywords that recieve search volume and have little to no competition. Will jaxxy provide me with this? hi chris – which free keyword tool are you using? Are you on the WA free tool, trial at jaaxy or using the google keyword planner -. While I started using the free keyword tool at wealthy affiliate and also the google keyword planner, I just found that the additional aspects to jaaxy made it so simple, it was well worth the monthly payment long term. Jaaxy certainly can help you find keywords that have little to no competition, it tells you the exact amount of searches that any term has per month and also the number of competing pages for that term. I have certainly come across keywords where the keyword had been searched thousands of times – with zero competition!! It’s rare but there are still gems to be found :). You just have to be careful to also check the SERPS, (search results) and see what those top sites on page 1 are like before you target your keyword. Many thanks for your comment! Thank you for such an interesting review. How can you get all the right metrics at the same time in Jaaxy? Because some of them will be ok but not all for each keyword! So which one are the most important metrics? Hi Alex, well actually, you do need all the metrics to work together in order to get the right keyword! For example, a keyword may have 2 million searches a month, but if the competition is massive – then there is zero point in you targeting that. In an ideal world, you want to have a good number of searches per month, (but at a bare minimum of 50), you want as low to zero competition per month, at a maximum 300 QSR, (but I tend to look for under 100 where possible), you want a green light and you want a good SEO score – within the 80’s or higher, (I tend to go for 90+). It’s up to you what metrics you think are most important and there is some trial and error here, which you just learn over time. However, to get the best possible chance to begin with, you’ll want everything to work together for you. Once you have more authority and your website is mature, you’ll be able to tackle a certain amount of competition anyway — but you need to check the SERPS too. I hope that helps. I thought this was an excellent and very informative post detailing the benefits of Jaaxy. One of the main benefits I like about the tool, and I know you touched on as well, is the saved list feature. In addition, the ability to be able to identify low hanging fruit and gain a strategic edge over your competition is something that can’t be overlooked! Hey Alec, thanks very much for your comment. Certainly, the low hanging fruit is a big one – definitely something to focus on – especially when you’re just starting out with keyword research! This is something I’m still in the process of learning. I never really understood how keywords worked and how important they are to your website being found. Jaaxy is an excellent tool and it’s a blessing that it’s included in my Wealthy Affiliate membership. This tool alone is worth it. Hi Kevin, Wealthy affiliate doesn’t include jaaxy in its premium membership actually. They do have a keyword tool that is powered by Jaaxy, but it doesn’t include all the features that jaaxy does and it’s not as quick to use. You should check out Jaaxy for the 30 free searches you can use and see what it’s like. Regarding keywords, I know it’s a bit confusing to start with, but it becomes second nature and even enjoyable, once you get your head around it all. All the best. Jaaxy is surely the best keyword tool out there. It is well worth the price I pay for it. The ranking feature is particularly useful. It’s a lot better than manually finding your pages in Google. I also love the SEO score. It makes choosing keywords a snap! Great review Nat. Excellent review of Jaaxy! I love using Jaaxy as it has helped a number of my posts and articles reach the first page of Google thanks to the excellent keyword research that can be done there. You gave an excellent break down of it is used and what all the tools and numbers in it mean. Great stuff! I’ve personally used Jaaxy keyword tool before (started with the 30 free searches) and absolutely loved it. It’s one of the best, most powerful keyword tools on the market. Recently, I’ve moved over to simply using the keyword tool within the Wealthy Affiliate platform, which gets the job done – but it’s no Jaaxy. I would definitely recommend it for beginners looking to rank their first few website pages and start seeing some visitors. If the method of producing quality content centered around high-quality, low competition keywords is repeated over-and-over again, results will certainly follow in the traffic department. 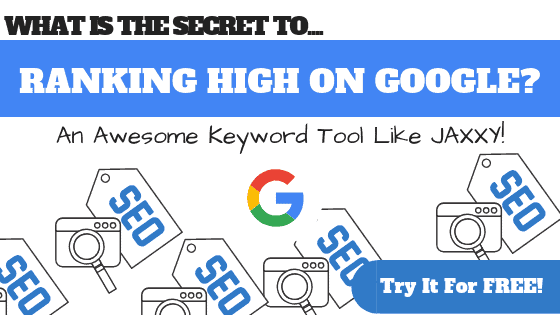 Do you think any other keyword tool is as good as Jaaxy? Hi there, I’ve tried other tools such as long tail pro and -at the time – I just couldn’t get used to that. However, I’ve since heard really good things about it so, I think I will look into that and review it in future. However, I’ve solely worked with jaaxy for a long time now and find it gets the job done! I find it very user friendly too. This is a great review. Jaxxy is such a good tool to use to have a sucessful site. You really broke everything down very well. I’ve used jaxxy before, but I had no idea about the site rank tool! That is so useful! I’ve always wondered if there was an easy way to see how I was doing. Hi stephanie thanks – yes I love the site rank feature, it’s probably one of the things I use most now. It’s a really simple tool overall that doesn’t take much time to get used to. Thanks for your comment! I’ve always founs SEO confusing at the best of times and keywords are no different – I find phrases that are low competition but I still struggle greatly to actually rank with them overall. Do you think this Jaaxy tool will be able to help out with that – do you feel it can change the fortunes of a newish blog? There are many reasons why you may not be able to rank with a low competition phrase. From my perspective – a few of the big ones are: that your blog is too new to rank for that phrase but may well do as you grow in authority, or that the keyword you’re trying to rank for is not relevant enough to your overall website. If google deems what you’re writing about to be quite distinct from what you normally do, or what it deems is your expertise, it’s unlikely you’ll rank for that. There are many topics I may cover in this blog that won’t rank highly because it’s not what I write about primarily, but I still include it because I want variety. Check your core keywords that you’re ranking for in google analytics – those keywords are ones you will find you rank for easiest. If your blog is very new, Google will still be trying to work out what your blog is really about and what it should be ranking you for. Lastly, some phrases may appear that they are low competition – when they actually aren’t. Because you could check out the SERPS and see that the top 10 results are by absolutely huge authority sites… in this case, even though not many people may be using that keyword, the reason is that the competition is actually still very high because authority sites are dominating that keyword phrase. If you bear all these aspects in mind when you’re using Jaaxy, yes it can definitely help – but use the information as a guide to then research your competition in the search, or to figure out if you could really rank for that keyword, rather than just going on what the tool tells you by itself. Hope that helps! Hey Jose – thanks I’m pleased I could help you out. Good luck! Up to now I’ve been using the Google webmaster tool but I’m getting increasingly frustrated with how limited the results are. Also I’ve heard it’s designed to go with PPC ads and not for blogging. Jaaxy looks awesome! Thanks for a thorough rundown here and the live demonstration, I’m just checking Jaaxy out now, I love the fact they give you 30 free searches! Just a quick question, is there a big difference between the Pro and Enterprise versions? Thanks in advance! I personally use PRO and it’s fine for my purposes right now, Enterprise is faster and provides more extensive results, but it just depends what you’re after. You also get instant QSR results — but it only takes a click to discover it, so I don’t see the problem really! I understand your frustration if you’re using google for your keyword research, Jaaxy is definitely worth the investment. here are so many great and powerful features with Jaaxy that it is astonishing. I can’t wait to be able to start using this program on a regular basis to help me continue to build my website. When I had my free trial I got a chance to see those videos and they are really helpful to learn how to use Jaaxy. On my list of tools to get when I can afford it. Thanks for stopping by Mark, yes the videos are really helpful. Jaaxy has been a great tool for me!